After the abuse, Sandi’s confidence was shattered. She began to believe that the best way to stay safe and out of danger was to listen and obey others—not rocking the boat or making waves. Also, believing it was her fault, she began to view herself in a negative way. “So, from the age of six, I walked through my unconscious life through the lens of always being the bad girl, everything being my fault... It played out in every area of my life except music. I was never (in my view) smart enough or thin enough or fast enough or nice enough or pretty enough. I believed that a lie was the truth.” Added to that insecurity was the reality that she was an introvert who also had a personality type of a people-pleaser who avoided conflict at all costs. The only area in life where Sandi felt good enough was when she was singing. Ironically, as a person who found it difficult to speak up for herself, she would be nicknamed “The Voice” as her career took off. Sandi began singing in church, with her parents at their ministry events, and at school. As her voice became known in Indiana, Bill and Gloria Gaither began using her to sing backup for them and eventually asked her to go on tour with them. She went on to record her debut album and when it was released, she noticed that her name was spelled incorrectly on the cover (Patty with an I). With her timid nature, not wanting to upset her recording company or cost them money, she said nothing and even signed her name wrong on her fans’ albums. Sandi was introduced to the world with her rendition of “The Star-Spangled Banner” during the rededication of the Statue of Liberty in 1986. Virtually overnight, she became one of the country’s best-loved performers. In the beginnings of her success, Sandi got married. Both she and her first husband, John, were broken people. She had never seen her parents fight, nor learned about conflict resolution. So, Sandi wasn’t sure what to do about their disagreements. John’s way of communicating with Sandi was by critiquing her. Then, Sandi would internalize his words as criticism and rather than speaking up and talking it out, she would stuff the hurt deep inside. “So rather than resolving issues, we multiplied our problems.” It was a vicious cycle that helped lead to their divorce. She found comfort in food. When she was eating, the internal pain would subside, and it eventually became an addiction. “For a nanosecond, food quiets the demons and soothes the voices… The more I had to say, the more I ate to bury it… I piled layer upon layer, literally and figuratively, that left me feeling separated and disconnected from others.” Sandi admits to thinking that she believed that God’s love was for everyone but her. 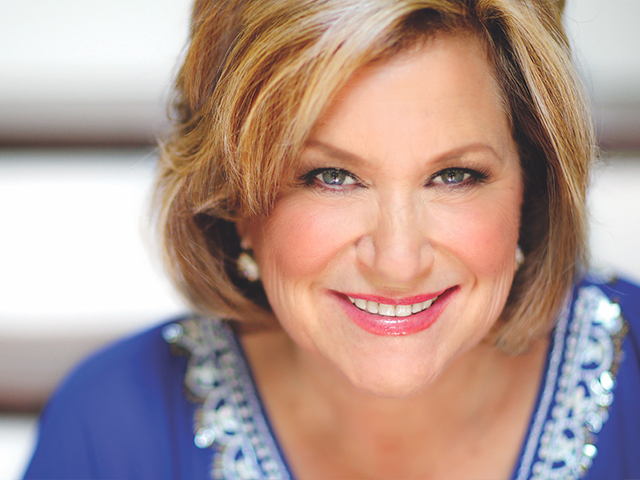 While on tour with The Gaithers they always sang a song called, “You Are Loved.” Sandi explains, “I learned to resign myself to the fact that while I could tell everyone else, through song, that they were loved by God, I didn’t, couldn’t really count on that for myself.” Eventually, these destructive thoughts and patterns led Sandi down a path and where she made some very bad choices. Sandi had an affair with one her backup singers, Don Peslis. When her infidelity became known, Sandi was forced to deal with her brokenness. She shares three milestones in her journey to healing: Confiding in her parents, clinging to the body of Christ, and healing in a safe place. She came clean to her parents, was accountable to a local church, sought counseling, and even checked herself into a Christian psychiatric ward for two weeks. Sandi did divorce. Eventually, after taking time to heal and restoring her relationship with God and the church, she married Don. They have been married for 20 years and have eight children between them. 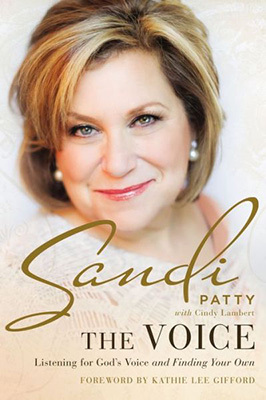 QUIETLY BROKEN Sandi Patty grew up in a Christian home where both parents were worship leaders at their church. They also traveled as part of a quartet singing group a few times a year.